Builder & Architect Copywriter & Content Writing Services With A “Love Your Sales Copy” Guarantee. Let’s face it. 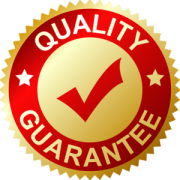 Trying to find a specialist builder & architect copywriter or content writing service in Australia who understands the building industry and who can deliver on what you want with a money bak guarantee, isn’t easy. Which is why builders and architects on the Gold Coast and across Australia choose Creative Copywriting & Content Solutions. Whether you need website copy for your building business, appointment letters, blogs, emails, company profiles, landing pages or something in between we can help you send the right message to the right people for your building or architect business on time and on budget. With over 16 years of experience, we can help you and your building or architect business acquire more leads, communicate your point of difference and maximise your return on investment. “After a short brief, Eddie was able to accurately and concisely create all the copy for two very busy websites. The services were professional and the projects were turned around without delay and exactly how we wanted it. Eddie was fantastic and worked with us to get these websites up and running on a tight schedule. Thanks for your help, Eddie.” Shannon May, Ray Group Management Pty Ltd.
Plus, our team of building and architect copywriters is all Australian who only write content and copy for Australian building and design companies. Of course, it’s hard to know if we can help you. So please just yet so read on and discover what some of our previous architect, builder, and construction clients have to say about our copywriting and content writing services and then phone us on 0412 288 339 for more information. Call now for a Q&A. For immediate information about the builder & architect copywriting and content writing services at Creative Copywriting & Content Solutions, please call us on 0412 288 339. Alternatively please complete the form below and we’ll get in touch with you.